Below you will find some general tips tailored to the unique situations that students face on a regular basis. Laser printers are better for simple text document, flyers, simple image and maintenance. Ink printers are better for photos, custom document sizes and media types at the expense of more maintenance. Most students are going to be happier with a laser unless their education requires high resolution artwork, photos or special media types. A printer with fewer features will have more invested into supporting those parts than a similarly priced printer with more features. Trade short term convenience for fewer points of failure and long term happiness. Large paper size? Print Lab. Color print job? Print lab. Special glossy photo paper? Print lab. Students typically have access to a print lab on campus or in the local community they live in. Yes, it will be more expensive upfront. However the print labs are fronting all of the maintenance and support costs for you which makes your life simpler (and avoid you trashing a printer every year). Wireless is great, but most printers only support 2.4 GHz which has limited options for non-overlapping channels. All of the wireless chatter in a dorm is going to cause your printer connections to have problems. Its much safer and easier to use a USB cable or if necessary a network cable to connect to your printer until you can escape the WiFi chaos of the dorms. Most new printers will take care of themselves fairly well if you leave them powered on. Read the users guide for suggestions and tips on how to keep the printer working. Keep a spare original cartridge on hand. This is a backup in-case you wish to try refilled cartridges. What to do to prevent the ill effects of Empty Laser Toner Cartridge to the environment? An empty printer toner cartridge contains no environmental friendly components. It contains chemical drum, plastics and a powder called carbon, and when the cartridge is empty and you throw it away into a dustbin, or when it arrives in the landfill, it will take 450 years for its decomposition. This product isn’t biodegradable. And this causes an enormous damage to the environment like water resources animal kingdom etc. 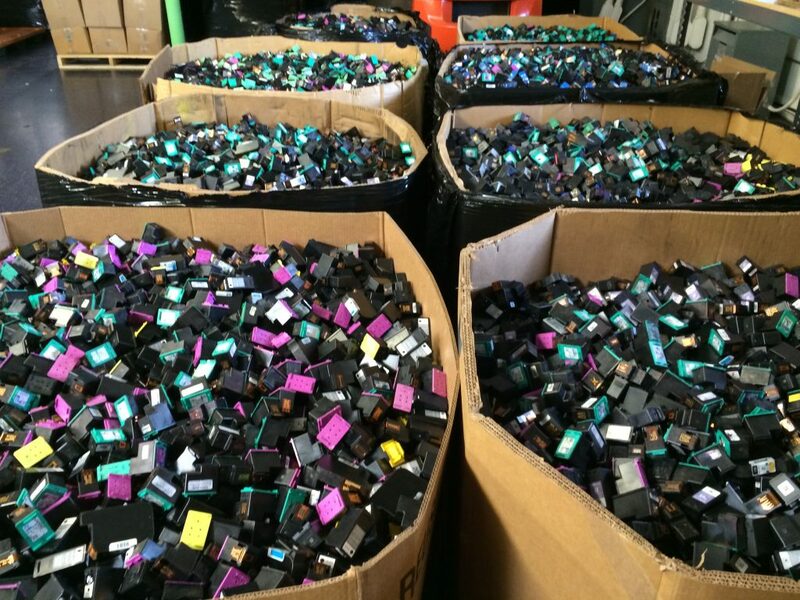 We can easily see that these non-reusable or empty cartridges are moved to the landfills. So, what to do to prevent the ill effects of Empty Laser Toner Cartridge to the environment? More than 2000 million printer cartridges are sold each year in worldwide, and more than half (1500 million of those) are sent to landfills. Toner cartridges are both recyclable and reusable, so more eco-friendly options for disposal exist. There are three main choices for keeping printer cartridges out of landfills: Reduce, Refill, Recycle. The first one is “Reduce”. Reduce your printings, more specifically your unnecessary printings. When you reduce them, you’ll reduce also the involved ink, that reduces the toner on the paper; reducing this, you’ll reduce the paper. And reducing the number of papers, you’ll reduce also the storage required for those papers. It will consequently reduce the use of electricity. After following the first solution of “Reduce”, the second one is “Refill”. We finally come to the third solution “Recycle”. This cartridge has to be safely disposed. You must give it to an authorized E-waste recycler, who will safely dispose of this cartridge without affecting the environment. Author adminPosted on September 27, 2018 September 27, 2018 Categories uncategorizedTags Laser printer toner cartridge, recycle toner cartridges, refill toner cartridgesLeave a comment on What to do to prevent the ill effects of Empty Laser Toner Cartridge to the environment? How much does a printer cost? How to save the run cost? Printers range from under $100 to over $1000, but it’s not just the printer itself that will cost you money. Running costs and print-per-page costs are the associated expenses that can make you think your bank account has sprung a leak. Ink and toner is the way the manufacturers make their money in this market. How to save the printer run cost? Draft mode – most printers will let you select a draft mode for printing, which will use less toner. This may be all you need for general text documents. Likewise, check the software settings for a black-only mode, which will avoid mixing in colour toner with black. Some printers do this to produce super-rich blacks for high-quality prints, but it’s unnecessary and costly for general printing. Duplexing (automatically printing both sides) – convenient and cuts paper costs. It’s also more environmentally friendly. Outsource – specialist photographic kiosk machines at shopping centres or online services can output glossy standard size (5×7, 6×4) photos at only a few cents per print. Take advantage of advertised low-cost offers to print a lot of photos at one session. Online services can also print your photos in specially designed ready-made photo albums, calendars and cards. Search the web for “online photo service” to find the best deals. Compatible cartridges – you can use compatible cartridges from other manufacturers, but be careful. If your cheap alternatives are defective, they might leak toner or ink into your printer and you’ll have serious difficulty cleaning it up. (One tip: spilled toner powder can often be removed with adhesive tape without touching sensitive surfaces). 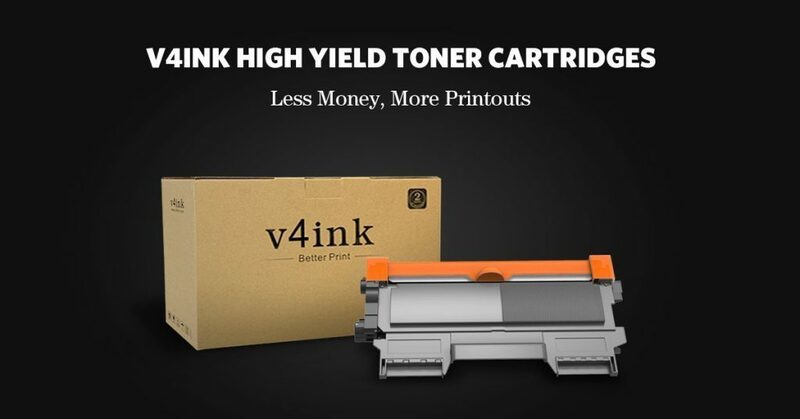 I would recommend V4ink to my friends, it’s much better than most of compatible toner cartridge brand, and also they do have good customer services. Refill, recycle – refilling your cartridges could save you money over buying new ones each time. Note that not all models have cartridges suitable for refilling. If that’s the way you want to go, check with your local cartridge recycler for pricing and availability before buying your printer. Power costs – these are usually negligible (less than $10 per year), but watch out for those printers we flag as poor on power consumption. Author adminPosted on September 18, 2018 Categories uncategorizedTags Compatible cartridges, How much does a printer cost, the printer run costLeave a comment on How much does a printer cost? How to save the run cost? How to Solve the Problem that Printer Can’t Recognize the New Toner Cartridge? Most people may encounter the problem that their printer can’t be precisely recognized the newly bought cartridges, and such problem take up too much of their time and energy. Don’t worry, here we collect and integrate the most complete information here, and sincerely wish they will be useful when you in need. This is the most fundamental problem and the most overlooked problem. Try to seek for the problems from the cartridge, you may find out the perfect solution. Step 1: Clean the chip with an eraser and re-install. Be careful not to be too hard to hurt the internal structures of the cartridges. Step 2: Gently put the chip inside the cartridges, and then place the cartridges inside the printer. Step 3: Start up and turn off the printer repeatedly for 5 times. Step 1: Make sure that when a cartridge is already installed in one printer, it can’t be used in another printer. Then you should check out your printer whether the printer has the problem. Step 2: Make sure that the protective cover is opened and closed smoothly. Step 3: If it still doesn’t work, turn off the printer. Then clean the electric shock inside the printer and re-install the cartridge. Step4: Only release the button when the “on/resume” light is flashing. After cleaning your printer, reset your printer again. Sometimes you can just only need to ignore some error messages during the setting process and just disconnect the cable and connect it again. Or you can try to reset your laser printer to see if it works and repeat the process until it back to normal. If you still can’t make your printer work recognize the new printer cartridges, do not forget to check out whether the cartridge is compatible or suitable with your printer. If your new printers don’t match the cartridges, change another right one right away. Or if you want, come to contact us or leave your doubts here, we will try our best to provide you with most efficient solutions. Author adminPosted on January 30, 2018 Categories Printer Guides, Toner Cartridge for printer, uncategorizedTags Printer Can’t Recognize toner cartridges, Solve the toner cartridges ProblemLeave a comment on How to Solve the Problem that Printer Can’t Recognize the New Toner Cartridge?